Walking through the park at Blickling Hall you suddenly encounter this monument through a clearing in the trees. It’s the burial place of the 2nd Earl of Buckinghamshire, John Hobart, and his two wives. For some reason he wasn’t buried in the family vault in the estate church but in this mausoleum built by his daughter in 1793, based on the tomb of Caius Cestius in Rome and now a listed monument in its own right. An unexpected find in the middle of the Norfolk countryside! Great choice for the challenge! 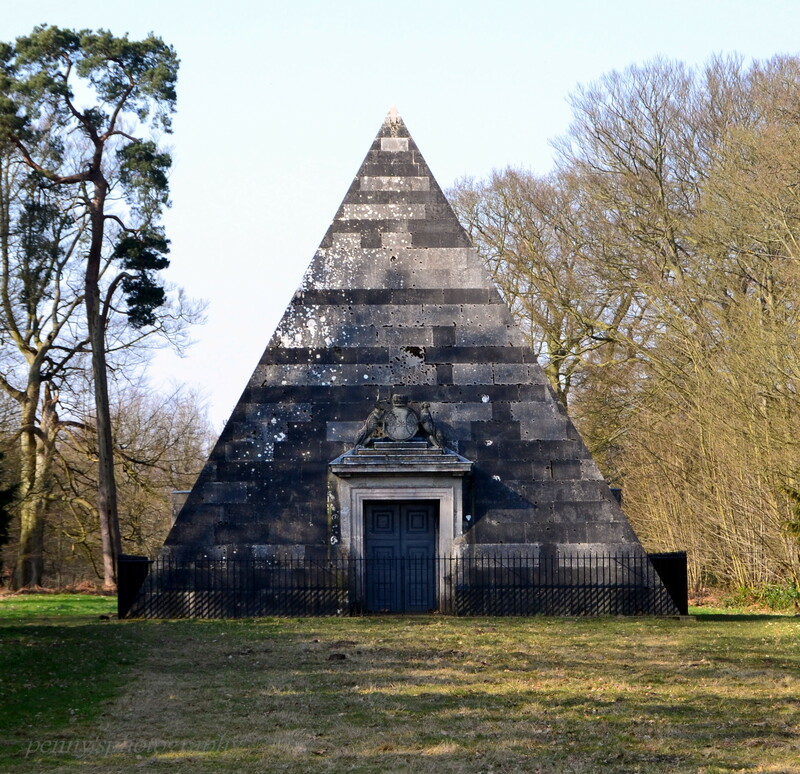 I went for a walk in the Blickling woods a couple of weeks ago and saw the mausoleum for the first time.